Kabupaten Nagekeo has separated from Ngada in 2007. Capital (ibu kota) is Mbay, a small and hot town in the north. 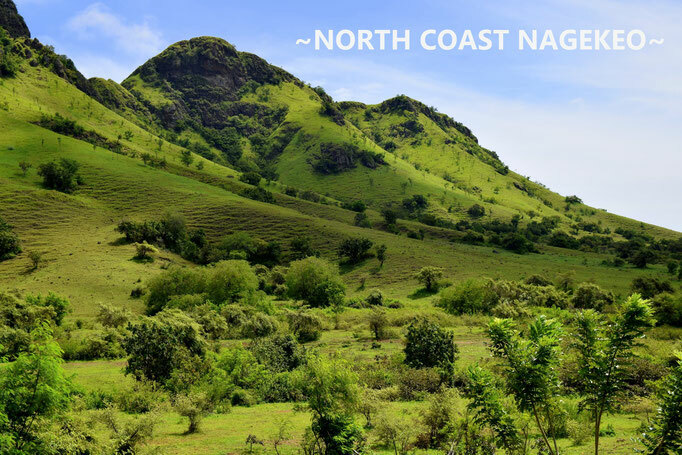 Actually the name Nagekeo is combined Nage in the north and Keo in the southern half. 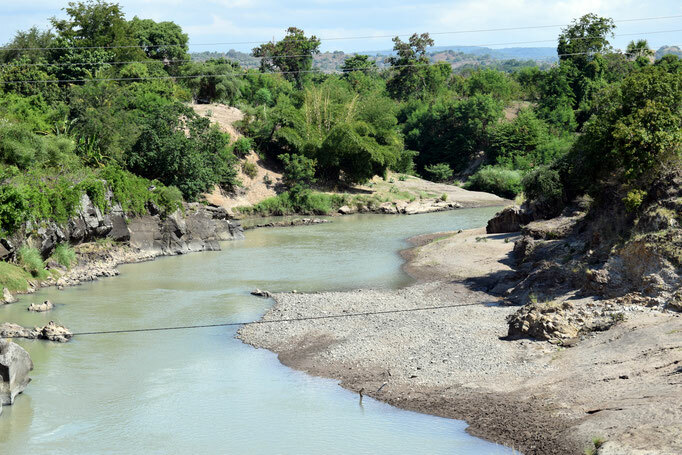 A big part of the regency is dry and fresh water is sometimes a problem for the inhabitants. 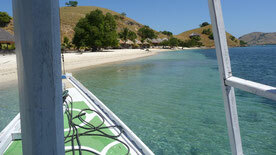 Mbay is only one hour away from Riung (for 17 islands Marine National Park) but it is more lively. Another advantage to stay in Mbay is that you can take the jalan tengah, a beautiful road to Boawae (if heading for Bajawa) which is better than the direct road Riung-Bajawa (at the time of writing; February 2017). You will have wonderful views of Mount Ebulobo. The road Aegela-Mbay is another beauty. Sunset: around 5:50 pm coming from the south heading to Mbay, the valley is in front of you with a red-pink-orange sky if you are lucky. 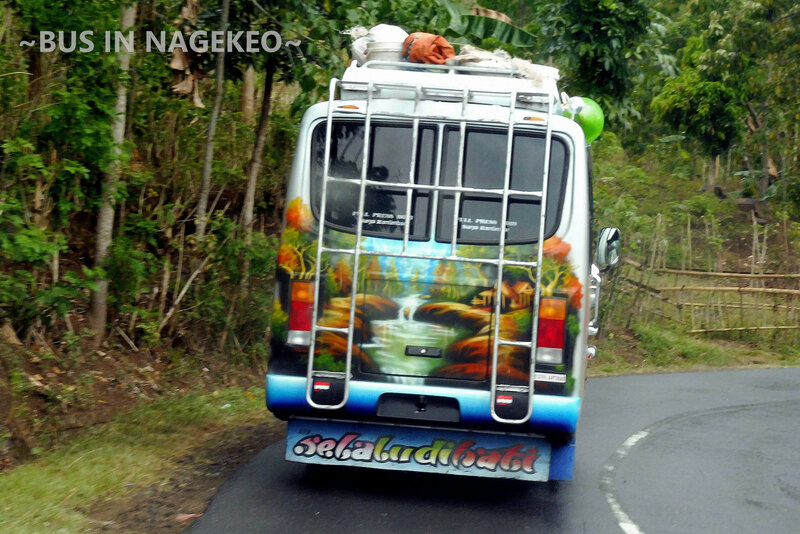 Most people rush through Nagekeo on their way from Moni or Ende to Riung at the northcoast. It seems a nothing to see regency also due to lack of information but there are some interesting things to see. In Mbay you will only find simple restaurants like Padang and warung for nasi goreng, soto ayam, bakso and so on. The largest supermarkets are Sahabat and Sinar Rembulan. Mbay unfortunately has no airport. 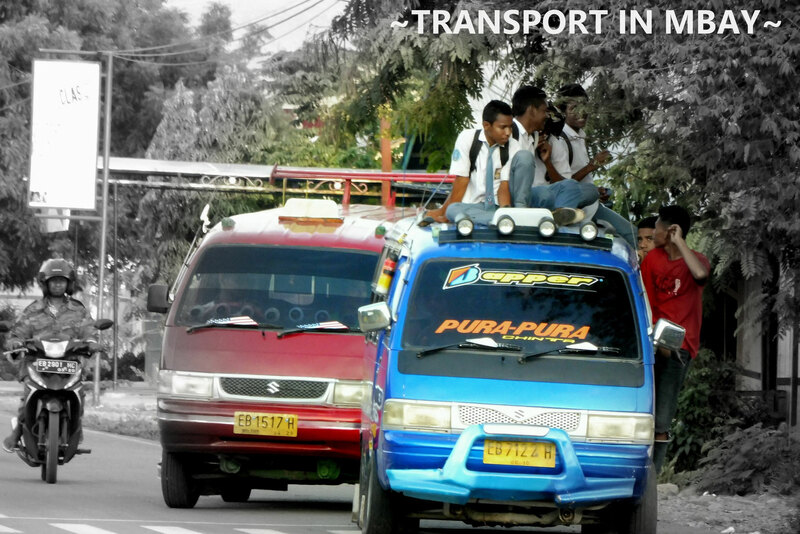 The closest ones are in Ende and Bajawa both 2 to 2,5 hours by car. Buses depart for Bajawa, Ende, Maumere and Ruteng. The ones that go to Maumere run via the northcoast but some of them are actually open trucks which can handle the partly bad road. 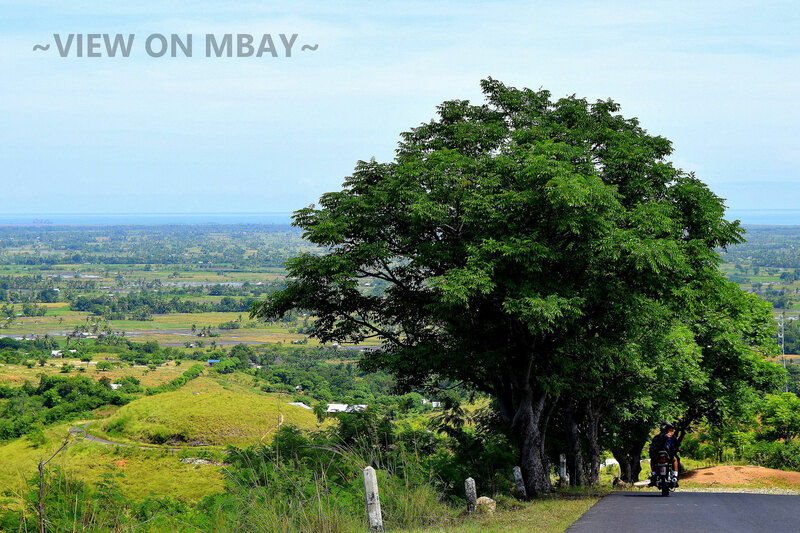 In Mbay there is no tourist scene and people are less prepared to standby. If you need a car with driver in Mbay feel free to contact me. This is a kind of shared “taxi” (a big car or minibus which runs from door to door) and run between the same destinations as buses. The nearest port is Marapokot, 8 kilometers north of Mbay. This port has no meaning yet in the tourism industry but there are plans I have heard. WHAT TO SEE IN NAGEKEO? Although Nagekeo is one of the less visited regencies it definitely has competitive attractions like the roads Aegela to Mbay and Boawae to Mbay ,jalan tengah. 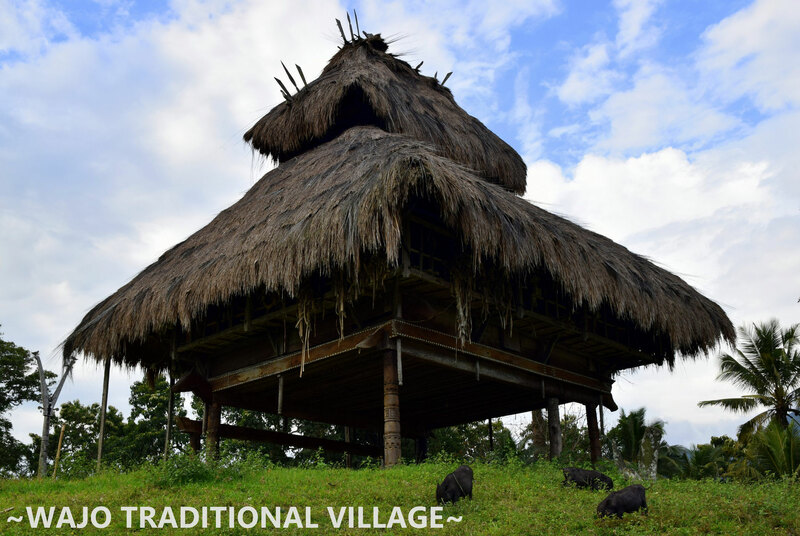 The traditional village Tutubhada is just off the same road. Coming from Ende turn left in Nangaroro to head for Tonggo for a greystone empty beach with coconut trees. No tourists here. 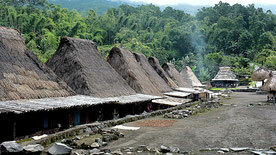 Is a traditional village in the deep south of Nagekeo. Houses are built in a circle around the traditional centre on a low hill. Here also: no tourists so you will be the talk of the day. Life is simple here, far away from the "city". 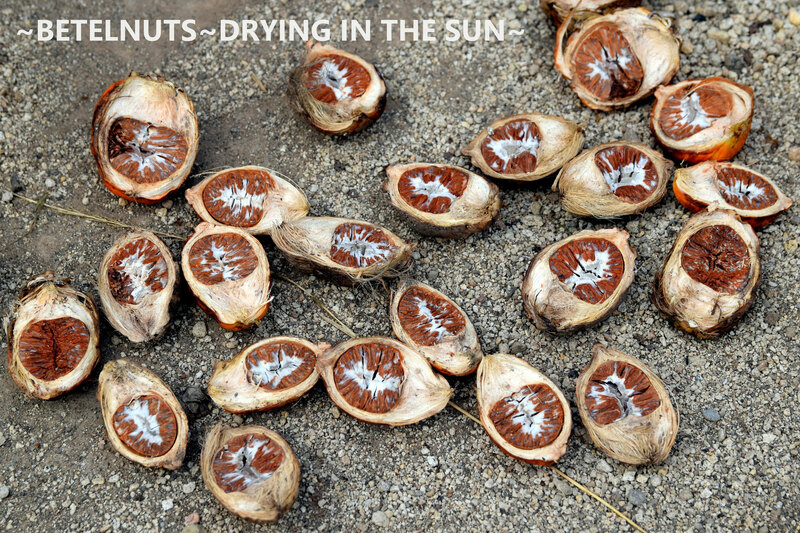 Women are collecting palmtree leafs, wood for cooking and betelnuts are drying in the sun. To get here, take the road between Aegela and Boawae near Pamakoe coming from Ende to the left. 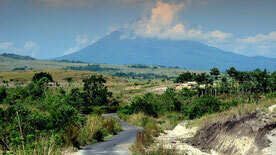 Gunung Ebulobo (Puncak Keo) is the mighty active volcano that companiens you on route at the Trans Flores highway. This 2.124 meters high mountain can be climbed. 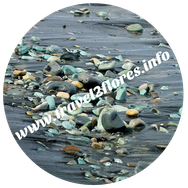 Best to stay is in Boawae where you will find a few basic hotels. For climbing the mountain you have to report with the kepala desa (head of) the village of Mulakoli, 12 kilometers and 30 minutes from Boawae. Here are guides available (Rp. 100.000 per person, no English is spoken; ask for Zacharias in the warung) to accompany you to the summit, starting around 2 am in the morning (around 3 hours). Some guides from Bajawa also can guide you to the Ebulobo. From Boawae you also can turn left through the mountains following the road to Mauponggo where you will find some nice beaches. Not the easiest road but views are great while Gunung Ebulobo is watching you. If in case you overnight in Mbay on your wayn to or from Riungn it is worthwhile to make a detour along the ricefields between Mbay and Marapokot. Beach at the northcoast with a few big white rocks, about 45 minutes drive from Mbay. Nobody there on weekdays. 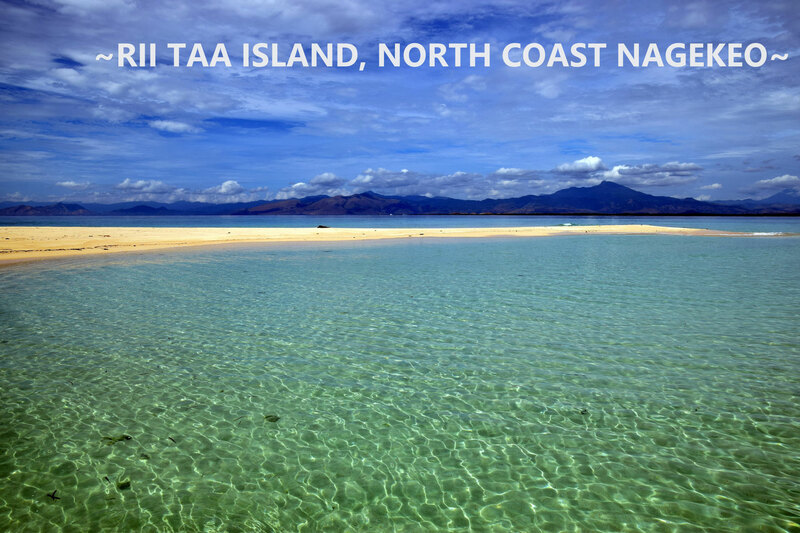 This invisible island is north of Mbay and can be reached through one of the small boatlandings north west of Mbay or from Marapokot harbour. The island is empty, no trees, no plants, no nothing, only white sand in a turquoise blue sea. You should check in advance when the island can be reached as this depends on tides. 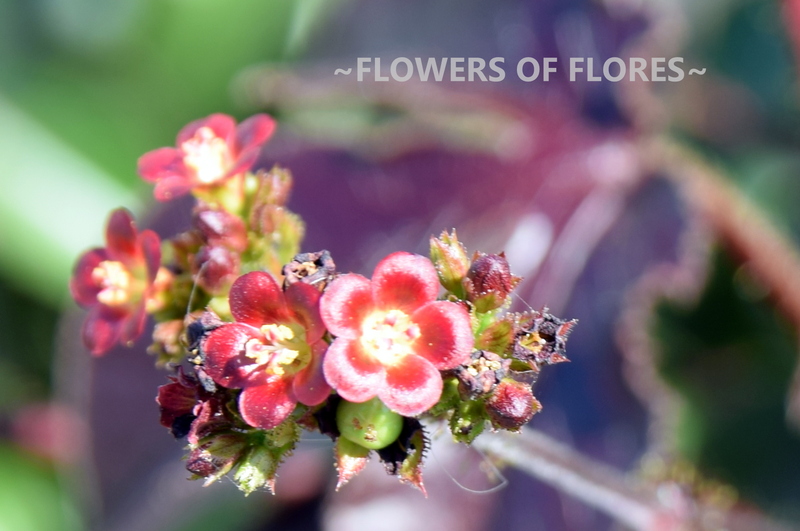 And take protection with you for the sun like a hat, a sarung or some towels or even an umbrella as there is no shadow at all. Another quiet and beautiful road with views on Ebulobo Volcano and a pleasant alternative for the direct road to Bajawa. Recommended.